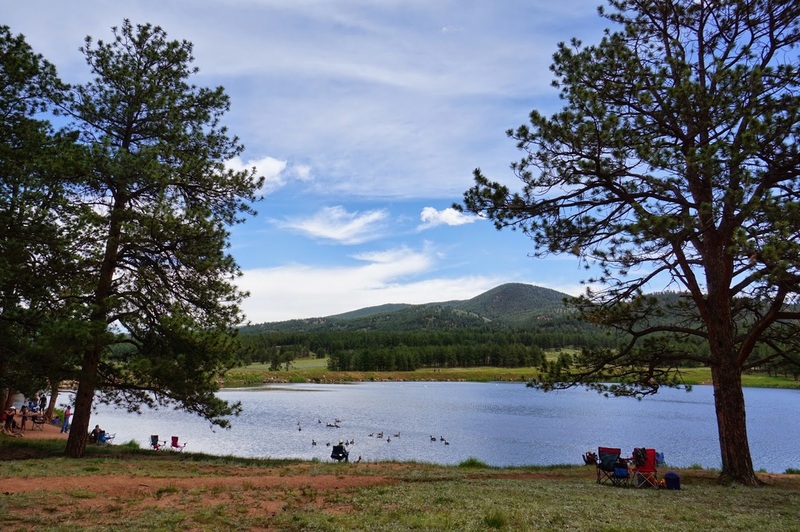 Directions: From Woodland Park head North of 67 for about 10 miles and turn right (east) into the parking area for Manitou Lake Picnic Grounds. From Denver head south on 285 to Pine Junction. 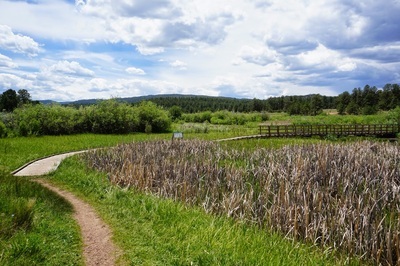 Turn left (South) and follow Pine Valley Road (67) through the towns of Pine, Buffalo Creek, and Deckers. 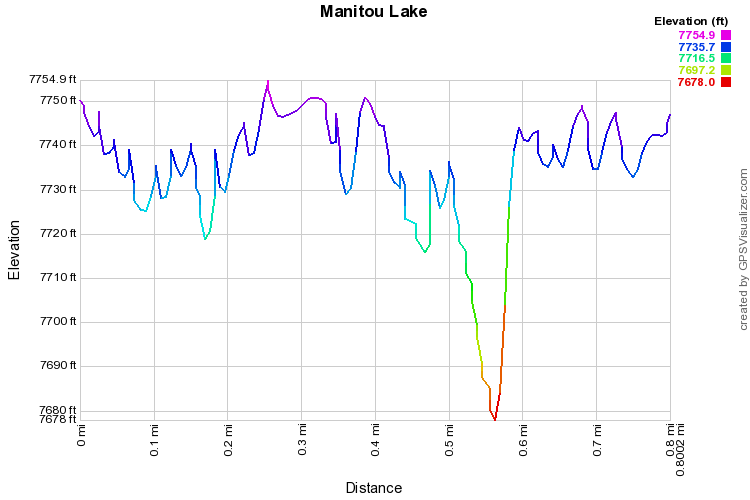 Turn left into the Manitou Lake Picnic Grounds. 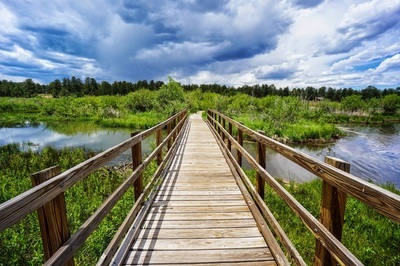 There is a fee for day use. 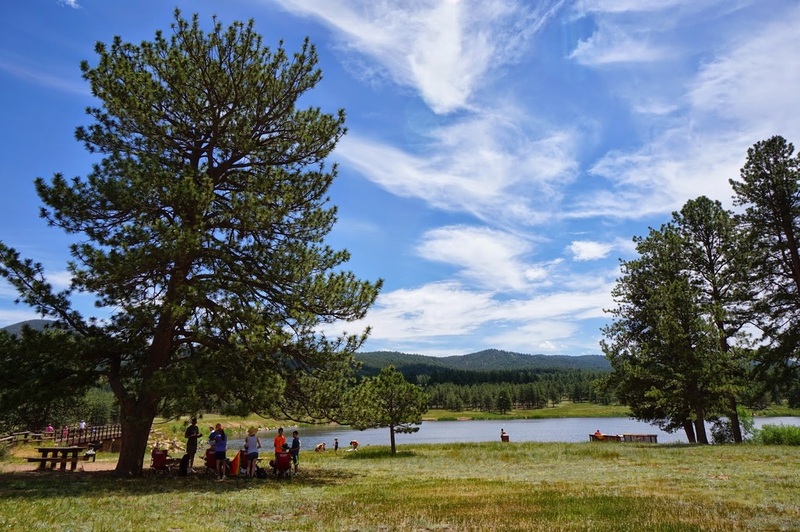 Manitou Lake is a very popular picnic and fishing area, especially during the summer months and holidays. The popularity is well served as it is a very scenic area. 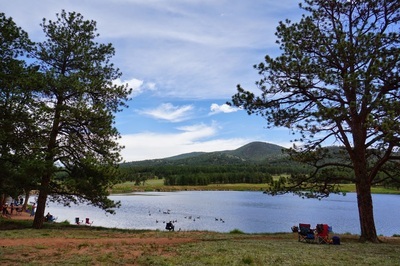 The lake is small and there is a 1 mi dirt hiking trail that leads around the lake. 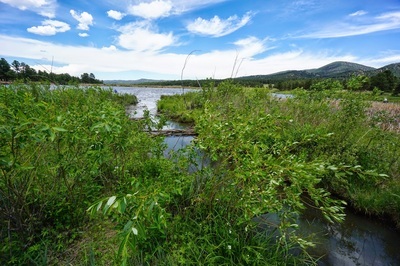 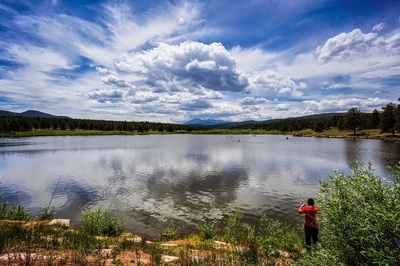 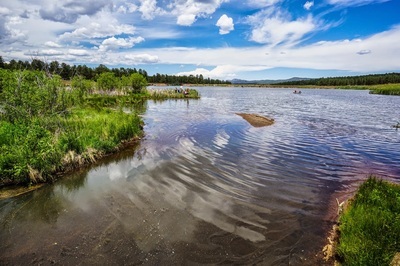 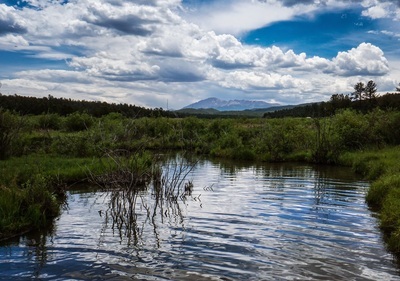 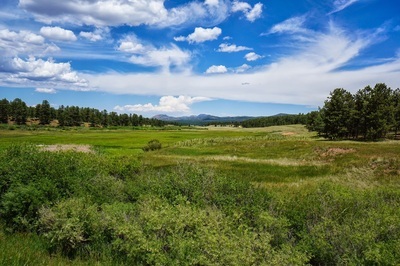 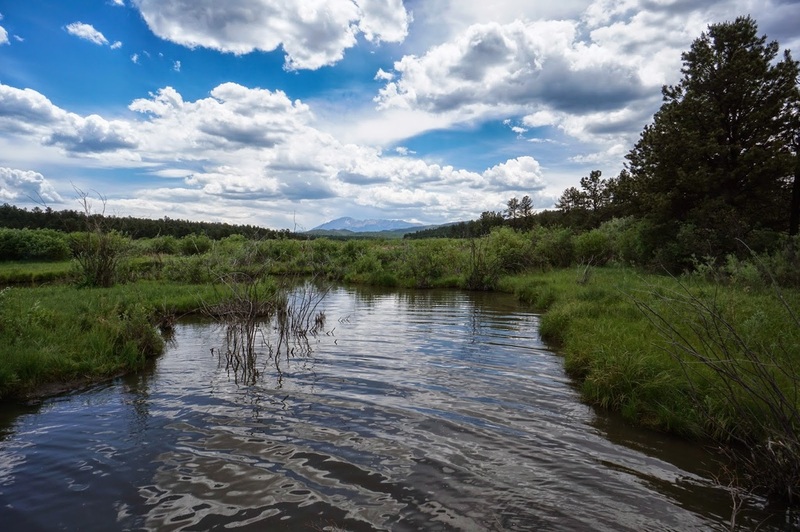 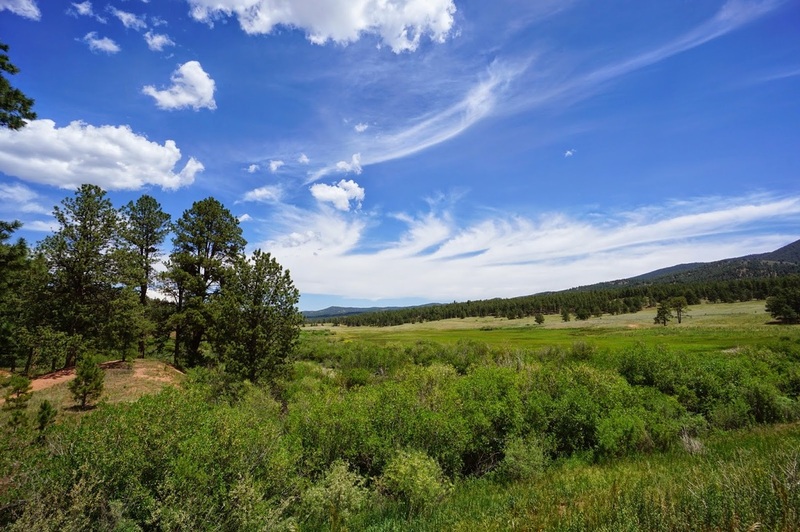 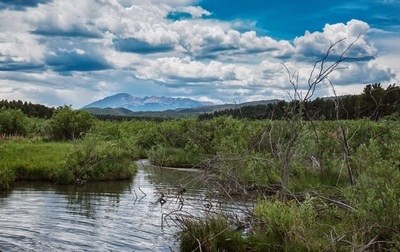 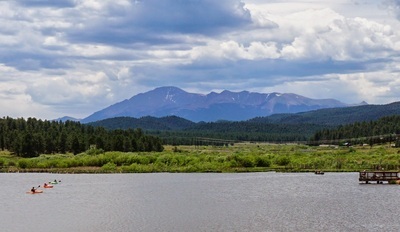 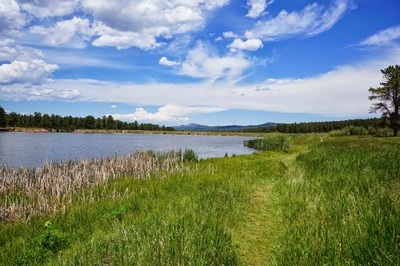 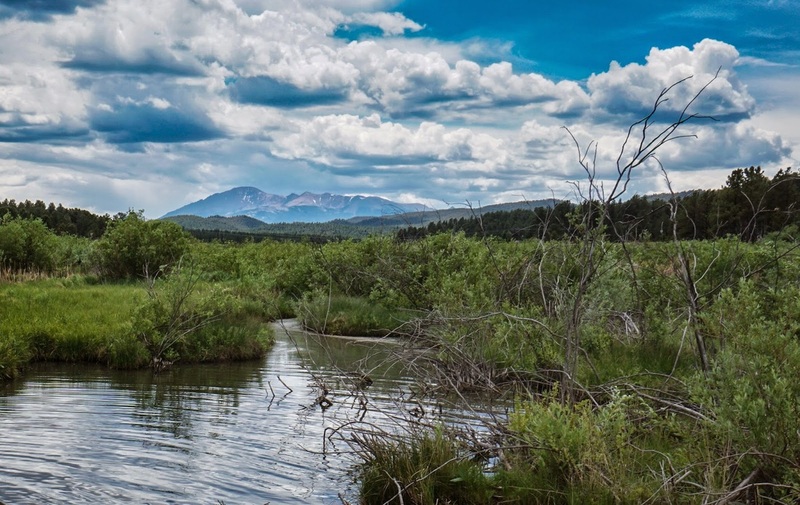 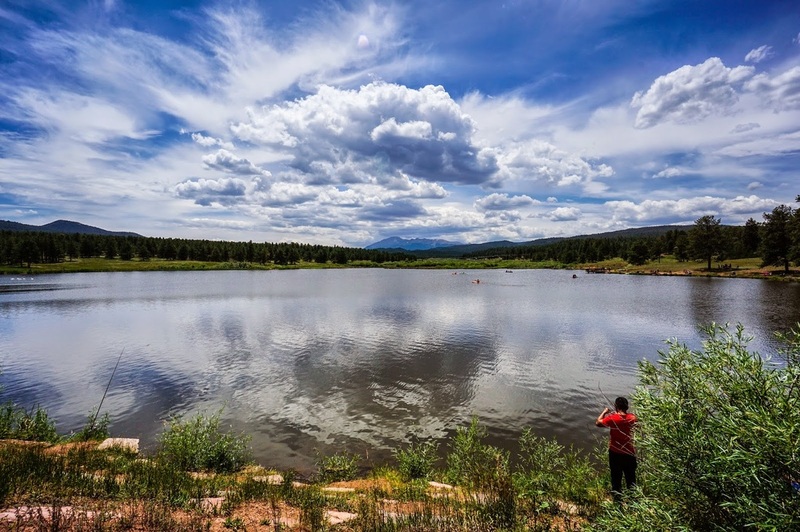 You get wonderful views of Pike's Peak from all shores and the south shore is a very peaceful wetland area with a boardwalk and interpretive signs to help identify the many species of birds that are regularly seen. 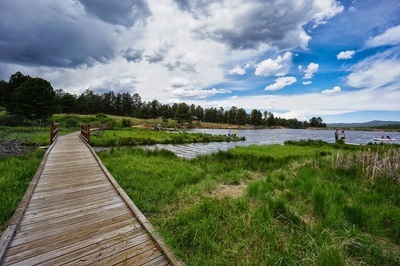 From the boardwalk the view of Pike's is awesome.